The course objective is to teach system performance bottleneck diagnosis skills to enable Performance Testers to take their first step towards Performance Engineering career path. This is a intermediate level course that helps Performance Engineers to perform systematic performance problem diagnosis, for identifying & isolating the performance bottlenecks during performance testing. Without just covering performance bottleneck analysis techniques, this course is designed to provide very detailed insights on all the technical concepts from the scratch & to teach systematic steps required to analyze & isolate the system performance bottlenecks. This is a very detailed course that covers how 360 degree performance analysis can be carried our while carrying out performance tests by covering 15+ performance bottleneck analysis techniques of various categories like test results analysis techniques (scatter plot, time series analysis, threshold analysis, outlier isolation analysis, etc) , client-side performance analysis techniques (website front end performance, mobile device performance,etc ) & server-side performance analysis techniques (code profiling, memory leak analysis, heap dump analysis, GC analysis,etc). In overall, this course will to teach the art of performance bottleneck analysis for investigating the system performance health for web applications developed using J2EE & .NET technologies. The course also covers prevalent bottlenecks on server resources (CPU,Memory, Network & Disk) & on Web, Application & DB servers in detail. The course covers details about various diagnosis tools used while explaining the real life case studies for each performance bottleneck analysis techniques. The target audience include Performance Testers & Performance Engineers, NFR Test Consultant & other QA professionals who are interested in performance bottleneck analysis beyond doing performance test execution. At the end of this course you will realize how holistic mindset has helped you to identify system performance bottlenecks. And now, with this mindset you will be now ready with the pre-requisite to jump onto advanced areas like Performance Modelling, Capacity sizing, etc. Take your first step towards Performance Engineering now ! Ruslan Desyatnikov brings over 20 years of Quality Assurance, Quality Control, Process Improvement, Software Testing and Performance Engineering experience helping many Fortune 500 companies including HSBC, Citi, Morgan Stanley and others . Ruslan graduated from Baruch College – City University of New York with a BBA in Computer Information Systems, and holds MBA in Technology Management from Phoenix University of Arizona. He holds a number of Quality Assurance/Testing and Project Management certifications and is an active board member of multiple QA Organizations in the United States and Europe. 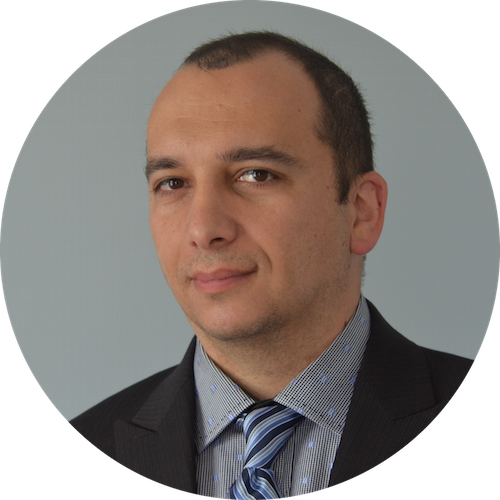 Ruslan's articles are published in many popular magazines such as CIOReview, Outsourcing Gazette, Tea-Time with Testers, Stickyminds, LinkedIn, Outsource Gazette and multiple QA blogs. Is this course appropriate for novice Performance Testers? This unique intermediate level course for Performance Engineers assumes you already have basic knowledge in performance testing. If you dont meet this prerequisite, you can take our beginner level course ""Transformation to QA Performance Engineers" before enrolling in this course. Do i get course completion certificate? Check the course objective, course description, course contents & preview videos carefully before purchasing the course. These details are carefully provided to give you a very good idea on what is this course all about. But still we would never want you to be unhappy! If you are unsatisfied with your purchase & you have a genuine reason, contact us within the first two days, we will give you 50% refund. This unique one of a kind course is your very first step to set your direction towards Performance Engineering Career. We have enough Performance Testers but very few Performance Engineers available in the market. Do you know ? On an average, a Performance Engineer gets paid at least 5 times higher than a Performance Tester. What are you waiting for? Enroll now & get yourself qualified as a Performance Engineering Professional.